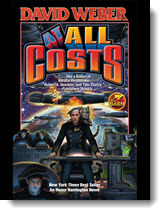 In this issue: a starship crew journeys into the unknown, a secret Nazi superweapon, and the best stories of the year! 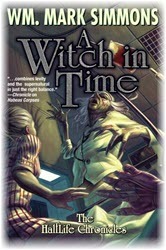 All that plus new short fiction from Wm. Mark Simmons. 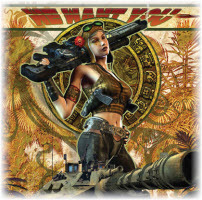 For more than thirty years, the Liaden Universe® novels by Sharon Lee and Steve Miller have captivated readers with their unique blend of action adventure, science fiction, and romance. Now discover the shorter works that fill in the cracks of the best-selling Liaden Universe®. Sure to delight longtime fans and newcomers alike, these tales highlight why the nationally best-selling Liaden Universe® novels are treasured by space opera aficionados, with detailed world-building, strong characterizations, compelling romance, and edge-of-the-chair action in stories that range from cosmic to comic. 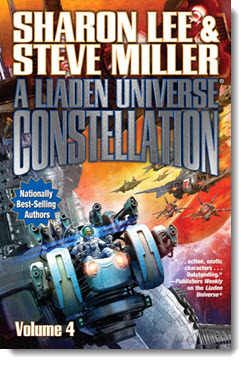 Get A Liaden Universe® Constellation, Volume 4 eARC here. The elite terrorist known as the Asp has survived a U.S. drone strike. Now he sets his sights on America's heartland. Meanwhile, ambitious aircraft historian Cassidy Gooding and irascible Colorado cowboy Frank Luck unlock an aviation relic's dark secret and discover the terrible truth the Asp may be closing in on. 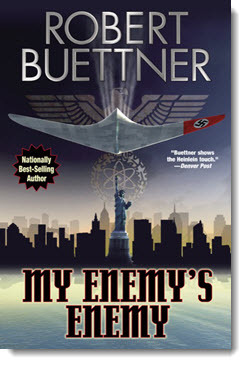 It seems that in late 1939, Nazi mastermind Heinrich Himmler commissioned a secret superweapon—a weapon thought to be nothing more than myth. Until now. Old secrets collide with new as Cass and Frank try to prevent the massive devastation of an American city. If they fail? Millions may perish. Get My Enemy's Enemy eARC here. THE BEST STORYTELLING ON PLANET EARTH—AND BEYOND! 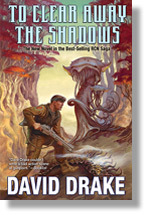 The Year's Best Military and Adventure SF series roars into its fifth year filled with derring-do, military combat, and edge of your seat suspense. Two lovable interplanetary rogues fight off implacable aliens to save the proprietors of a spacecraft scrapyard, and perhaps escape with a prize in the bargain. 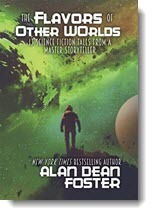 Bitter interplanetary war erupts when a rogue planet is bent on winning its freedom from Earth's bureaucratic oppression. And a cybernetic soldier’s replacement parts discuss their situation with mordant humor—and together arrange the ultimate fate of their master. It’s a year’s worth of the best of the best science fiction from Michael Z. Williamson, Brendan DuBois, Kristine Kathryn Rusch, William Ledbetter, Christopher Ruocchio, Stephen Lawson, Suzanne Palmer, Richard Fox, and more! 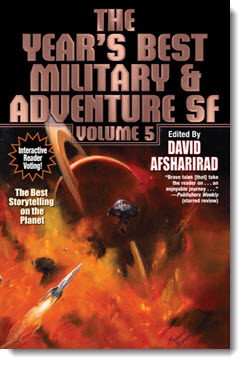 Get The Year's Best Military & Adventure SF, Volume 5 eARC here. Half-vampire private investigator Christopher Cséjthe sees dead people. Usually those dead people are trying to kill him. But the two fresh corpses who show up in his home just as he's waking up for the night need his help. Someone or something is messing with Beausoleil Cemetery, stirring up the dead. And it's up to Christopher to find out who or what exactly it is and to put a stop to it. Read “Extracurricular” by Wm. Mark Simmons here. It's said that the best defense is a good offense. Perhaps so. But when it comes to combat, the best defense is often whatever keeps the pointy end of the stick out of your soft tissue. To that end, soldiers have been wearing body armor since before recorded history. In this month's nonfiction essay Michael Z. Williamson traces the history of body armor from the earliest animals hides through to today's state-of-the-art materials—and into the future. 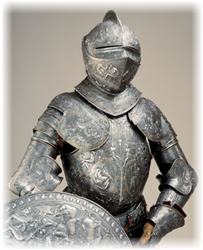 Read “The Evolution of Body Armor” by Michael Z. Williamson here. 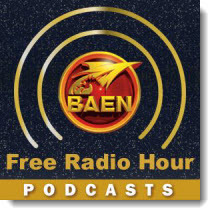 Coming soon to the Baen Free Radio Hour: John Ringo, Gary Poole, and authors discuss Black Tide Rising story anthology, Voices of the Fall. And Travis S. Taylor and Jody Lynn Nye talk about Moon Tracks, an exciting science fiction novel featuring a race around the Moon. Missed past episodes? No problem. We’ve got every episode archived for your listening pleasure. The war with the Republic of Haven has resumed . . . disastrously for the Star Kingdom of Manticore. Honor Harrington has been recalled to command Eighth Fleet, the Alliance's primary offensive command. But the Star Kingdom and its Allies are badly outnumbered by the Republic's new fleet. And the odds are going to get steadily worse. The alternative to victory is total defeat, yet this time the cost of victory will be agonizingly high. Inspired by the American up-timers, Russian serfs are rebelling. Meanwhile, Czar Mikhail has escaped house arrest and is making his way by dirigible to the village of Ufa, where he intends to set up a government-in-exile. The path is dangerous—for the serfs as well as the czar. But it could be that a new wind of liberty is about to blow three centuries early—and change Mother Russia forever. This boxed set includes four detailed and insightful writing books by New York Times best-selling author Kevin J. Anderson, two of them coauthored with Rebecca Moesta. Subjects include productivity, professionalism, world building, and collaboration. These four volumes form the cornerstone of the celebrated Million Dollar Writing series. The once-infamous Crimson Star pirates have failed. They lost their ship to a band of mercenaries, lost their doctor to the Inquisition, and are now reliant on the good will of the ruthless Borjigin crime family for safety. But the Borjigins could be a blessing in disguise . . . if they and the pirates can survive the tightening grip of the merciless and calculating Inquisition. Nonetre’s plans are coming closer to fruition—will Danai and her friends be able to discern the truth before it’s too late? If Andrew Espinoza wants to save the Dominion of Man, he will have to be something more than a spy—and someone else entirely.